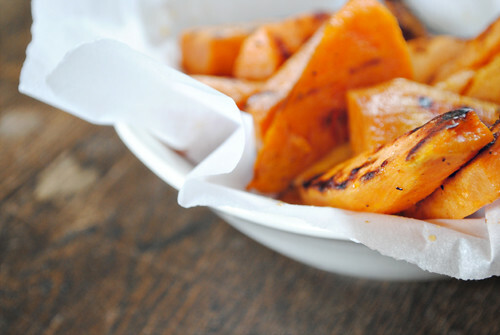 Sweet potatoes have as much beta-carotene as carrots, a powerful antioxidant found only in plants. These spuds are great sources of magnesium, a mineral needed for healthy artery and nerve function. They have a low glycemic index score, meaning that the starches in sweet potatoes burn more slowly and are less likely to cause spikes in insulin levels. They are loaded with potassium, a mineral your body needs to help naturally regulate blood pressure. Even with all of these health benefits, its popularity pales in comparison with the white potato. On average, Americans eat 5.2 pounds annually of sweet potatoes compared to 117 pounds of its not-quite-as-healthy cousin. As with any superfood, the way the food is prepared and consumed can negate any of the health benefits you are trying to gain. For example, sweet potato fries taste great but the process of frying and adding salt to the potatoes makes them unhealthy. So does adding a ton of marshmallows and sugar to that sweet potato casserole everyone loves for Thanksgiving. So, how do you add more of this healthy food to your diet in a tasty and healthy way? How do sweet, spiced potato chips sound? If you’re making latkes for Hanukkah, why not try this recipe? If you still enjoy the occasional steak like I do, have you thought about pairing it with these simple sweet potato “fries”? What is your favorite healthy way to prepare this superfood?